Last week I finished reading the book The Lost Boy: A Foster Child's Search for the Love of a Family . The book is one of several written by David Pelzer, chronicling his own story of abuse, along with his search for acceptance and belonging. The book focuses on the period of his life that David spent bouncing from foster home to foster home after being rescued from his destructive home life. Throughout the book, we find a young boy struggling to accept the fact that his own mother had targeted him for abuse and had professed not to want him or love him. David vividily describes several instances of abuse, such as the time his mother took her anger too far and stabbed him in the chest and the day that his mother forced him to eat dog feces as a form of punishment. I sat up one night in bed crying as I felt the very real emotions of a little child whose only wish was to hear his mother say the words I love you. As I began to process this story and to unpack all that I read, one particular detail of the book really stood out to me. Throughout his whole childhood, David's mother was never able to call him by his name. She would refer to him as it or the boy. For this reason, the prequel to this book is titled A Child Called It: One Child's Courage to Survive . For whatever reason, she was never able to call him David. Perhaps if she did she would be forced to acknowledge that the boy standing in front of her was not a mere object of her wrath, but a person, her own son. It struck me that we all have an innate desire to be known and to be loved, especially by our caretakers and guardians. We could all agree that a feeling of love and acceptance from our parents is a significant felt-need in our lives. We want to be valued and appreciated for who we are. We want to be called by our true names and known by our true identities. When sin entered the world, we lost the ability to connect with our heavenly Father. A wide-gaping chasm was forged between us and Him. We lost relationship. As a result, we lost sight of who we are and who we were called to be. We roamed through life nameless, disconnnected from our true identity. We lost sight of the fact that our lives were designed by our creator with purpose and intentionality. Jesus came to bridge the chasm between us and Father God. Jesus willingly chose to allow His earthly life to be taken, by a brutal death on the cross, in order that he might share the gift of eternal life with us. By accepting this gift, our connection with the Father is reforged never to be shaken again. I love what it says in 1 John 1:12-13, "Yet to all who did receive him, to those who believed in his name, he gave the right to become children of God--children born not of natural descent, nor of human decision or a husband's will, but born of God." Ephesians 1:5 tells us, "He predestined us for adoption to sonship through Jesus Christ, in accordance with his pleasure and will." He chose us to be his sons and daughters. He always knew he would win us back to Him. He wants us and desires us. But there's more. The God who chooses us, calls us by our true names. His Word tells us, "I have called you by name, you are mine" (Isa. 43:1). In fact, God is the only one who knows our true names and identities. He gives us a new name that corresponds with our purpose and identity in Him. I love what God speaks over Israel in the passage Isaiah 62:2-5. To emphasize the main thrust of the passage, despite the fact that Israel has been unfaithful to the Lord, God makes it clear that He has plans to redeem the nation. 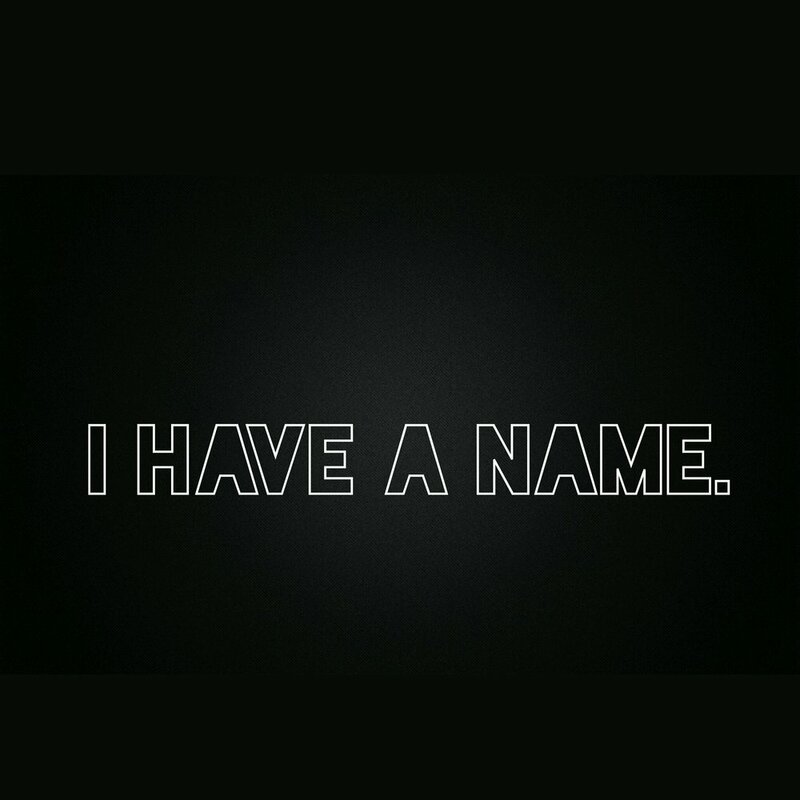 He says, "You will be called a new name that the mouth of the Lord will bestow." He says, "Never again will you be called "'The Forsaken City' or the 'Desolate Land.' Your new name will be the 'City of God's Delight' and 'The Bride of God,' for the Lord delights in you and will claim you as His bride." A name change is in order for us as well. No longer shall we wander around nameless. No longer are we to be called it. We are chosen. We are loved. We bear the name given to us by our Creator.